Charnae McDonald is the Campaign and Communications Manager for United Way of Northwest Louisiana. She’s responsible for coordinating and fundraising activities through workplace campaigns, serving as a spokesperson and assisting with resource development activities and initiatives throughout the year. With Charnae’s strong background in media and communications, she also spearheads all public relations for United Way to ensure the nonprofits visibility in the community. She began her professional career as a TV news reporter where she gave a voice to public concerns. She comes to United Way with a passion to help people in the community. Her goal is and has always been to serve. Charnae was born and raised in Northern California. She graduated from California State University, Northridge with a degree in Journalism. 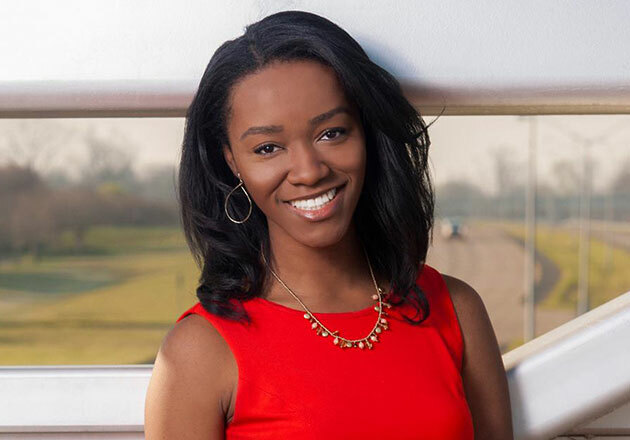 Since moving to Shreveport in 2014, Charnae continued her contributions to the community by working for a local news station. Louisiana is a big culture and weather shock from California, but she is enjoying the history and rich culture with her husband, Ben and their pug. One of her favorite quotes says, “Our deepest fear is not that we are inadequate. Our deepest fear is that we are powerful beyond measure,” Marianne Williamson.